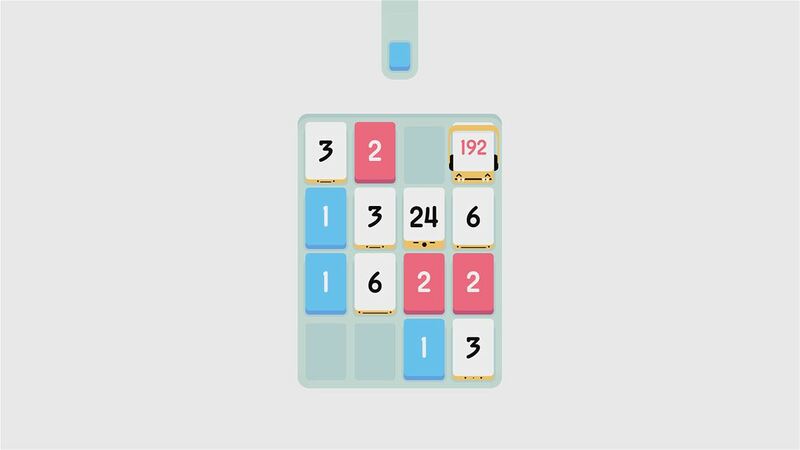 Threes is a puzzle game that is easy to pick up but not so easy to put down; this single player number matching puzzle game is surprisingly addictive. 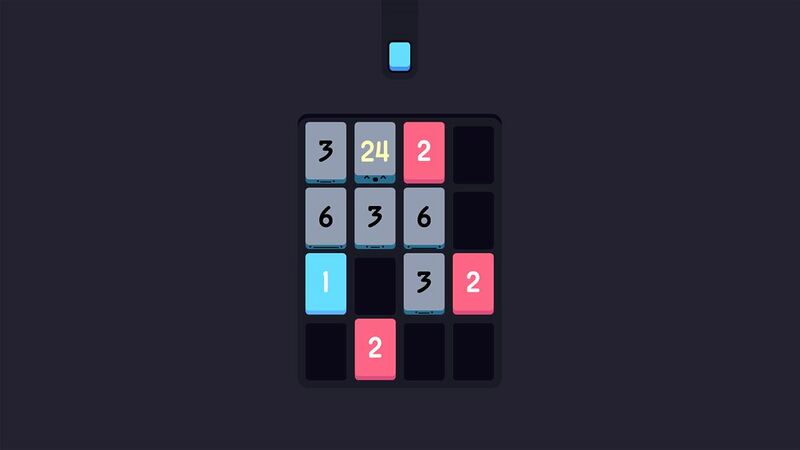 You may already be familiar with Threes as a mobile game on phones and tablets. It brings similar gameplay to the more popular, but easier to complete 2048, but adds catchy music and lively characters into the mix which gives this game a bit more personality than the typical number matching game. The game looks great and has won numerous awards for its design including the Apple Design Award 2014. Now though the game has made its way to Xbox One, does Threes translate well to the big screen? On starting you are presented with a board containing a mixture of numbered tiles: some 1s, 2s and 3s. You can produce a 3 by combining a 1 and a 2. To do this you simply move the left thumbstick up, down, left or right which in turn moves the tiles. The difficulty comes from the fact that all of the tiles will move – not just the one you are interested in. After each combination a new tile will appear. An icon at the top of the screen tells you which tile is coming next however I personally don’t find this useful – maybe there is a deeper layer of gameplay that I am yet to master. What I do find useful though is if you use the right thumbstick you can see the outcome of that move without the tiles actually moving – a useful extra as there is no undoing once you have relocated tiles. From here the aim is to match the numbers to make tiles with higher and higher values. Each numbered tile has its own name and personality and you are introduced to each character when you first make it. This means that during the game, as well as the background music, the tiles make sounds and talk to each other. This is either adorable or annoying, depending on your feelings about cuteness. As you play, the game gets increasingly more difficult as you try to manoeuvre tiles around the board without it filling up, as when no more moves are possible it’s game over. The addictiveness is two pronged as you try and beat your previous score (calculated from adding up all the tiles on the board at the end of the game) and also try to make higher value numbered tiles. The high scores are all saved for you to look back on and reminisce if you so wish. When you are bored of this you can wipe them and start from afresh. Other options include the ability to turn music and sound effects off and to choose night colours which gives the game a black background rather than white – kinder on the eyes if you find yourself playing for hours rather than minutes. You can also connect to leaderboards to compare your high scores with friends and global players although after a fair bit of testing I’ve yet to be able to get a connection to the global boards. There is also the ability to play the game in ‘Snap Mode’ which enables you to play Threes whilst watching TV. Sadly my multitasking doesn’t seem up to this but it might just be useful for when you have a hankering for a game whilst your partner/friend/child wants to use the TV for other purposes. Threes in Snap works perfectly and possibly paves the way for future games of the same ilk to make their way to Xbox One. 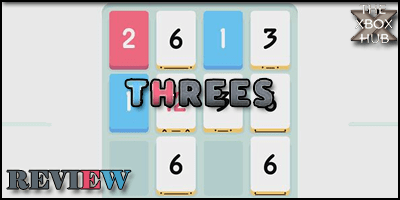 Threes is a simple game to get to grips with but isn’t something I can get really excited about. It will however take an age to fully master and is a decent way to while away a few minutes if you have nothing better to do, but I can’t ignore the fact that you can also download it for your phone or tablet cheaper than the £5.59 price tag on Xbox Live. Because it is a single player game, playing it on the Xbox just doesn’t add anything to the gameplay – in my opinion the developers have missed a trick not adding a multiplayer function, especially as the global leaderboards are seemingly broken.